The Tuscan garden is one of the most popular design styles of all time. Simple, drought tolerant, and ideally suited to small spaces as well as city living, the Tuscan aesthetic lends itself very well to Melbourne gardens. This week, we examine the essential elements that make up the Tuscan garden. Italian cypress or Greek bay trees: Rows of these species edging a terracotta or stone pathway or driveway create a classic Tuscan silhouette. Perennials: the intoxicating scent of herbs permeates the Tuscan landscape, so it’s no surprise that perfumed perennials such as rosemary, thyme, oregano and lavender are garden essentials. To conserve water, most Tuscan gardens use pavilions or arbours instead of trees as a form of shades. Natural wooden or stone are ideal materials for constructing these and it doesn’t hurt to have a gnarled old grapevine creeping up the outside. 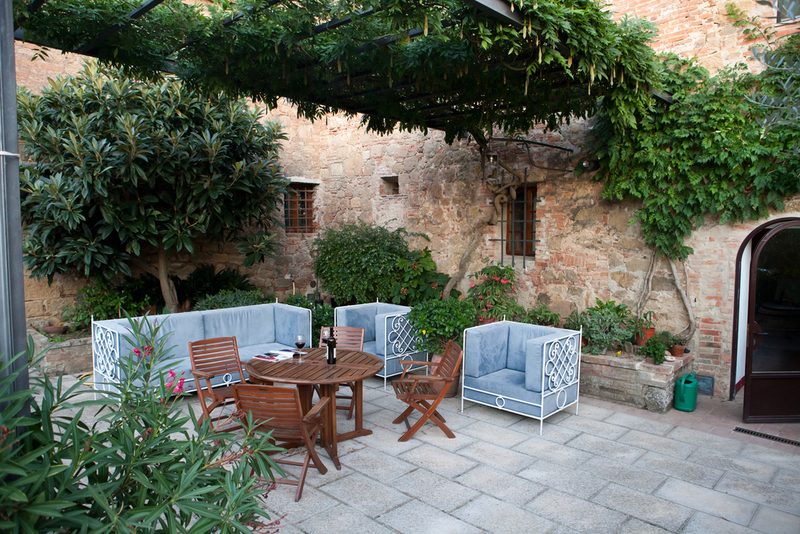 Instead of grass, Tuscans favour using gravel or paved pathways and patios to create living spaces within the garden. Warm natural tones of orange, red and yellow stone are the traditional choice here and a cost-effective way to achieve this is with either exposed aggregate or textured concrete. The capital of Tuscany is Florence, a city which gave birth to the Renaissance period in Europe, so it makes sense that the classical designs of this era are still echoed in many elements of Tuscan design. Art appreciation became huge during this period and led to sculptural works being included as outdoor décor. Because of this, natural stone sculptures, terracotta urns, and water features are commonly used as focal points in a Tuscan garden. A Better Driveway specialise in installing exposed aggregate concrete driveways in Melbourne. If you’re looking for a durable, cost effective way to pave your Tuscan paradise, exposed aggregate is a great choice. Please don’t hesitate to get in touch with us by calling 9308 6112.